Outdoor Prolink partners with Thule to offer our pros a promo code for use on Thule.com. 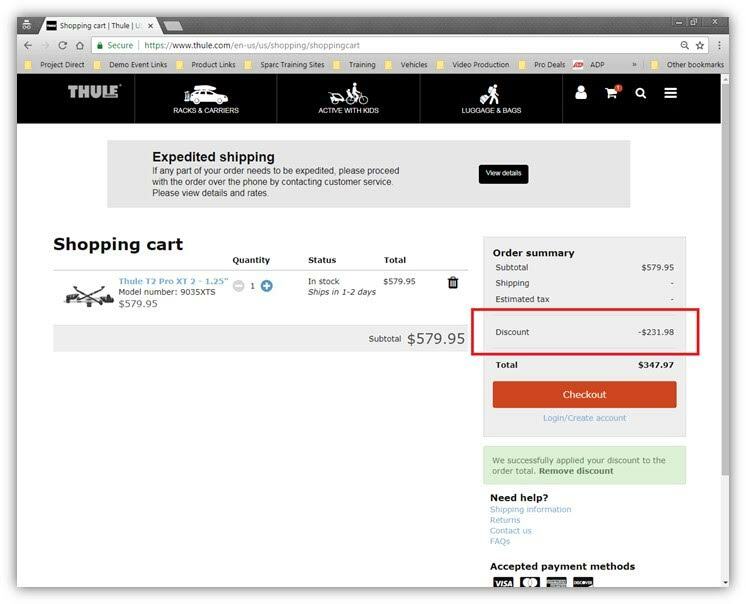 To shop Thule, sign in to your Outdoor Prolink account. Under "Brands" find the Thule brand page. There you will find directions on completing your Thule Pro deal. 1) You must visit a specific website (listed on the brand page of Outdoor Prolink) in order for your code to be applied. 2) Once you've visited the page, head back to Outdoor Prolink and click 'reveal your code' on Thule's brand page. Copy this code. 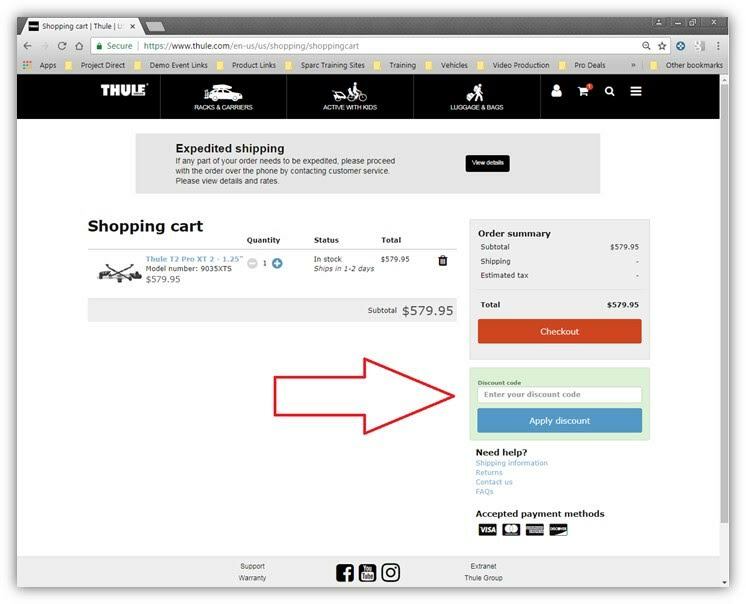 4) Since you visited the first website, you should now have a discount code box appear on the Thule.com checkout page. 6) Your 40% discount will be reflected under "Order summary." 7) Click the orange "Checkout" button to complete your order! Thule can only ship to the US, no international orders please. Do not mention this program in any store that carries Thule Products. Should a client or friend ask about your Thule gear, please refer them to your local Thule retailer. All pro orders will take 3-4 weeks for delivery. Products available on the Thule website are for personal use only. No returns on pro purchases! All sales are final. Members are limited to $1500 (retail pricing) per year. Anyone found attempting to resell or otherwise re-distribute products purchased will be removed from the program. The Thule website is the only means of utilizing this offer. Orders cannot be picked up at Thule or in-store at Thule retailers. The new Perspectiv series is not on discount.